My life underwent a radical change when I decided to leave a 30 year career as graphic designer and art director in advertising and to embark on a learning quest in a very different field: that of pure energy bodywork, Shiatsu. I searched for answers as how emotions can affect the body’s structures and this interest led me to study Shiatsu at the European Shiatsu Institute in Switzerland, where I lived from 1982 to 2009. After 4 years of study came graduation and I received my diploma in Florence, Italy. Since then, I have continued on this path, studying Shiatsu and Traditional Chinese Medicine with renown teachers from Switzerland, England and the USA. The energy work is an absolutely fascinating field where Nilsa uses her skills and techniques of Shiatsu, Seiki, Theta -Healing®, with her teachings on the three energy centers of the body called Dantiens Chakras and to perform an absolutely individual and different session. Energy manifests itself in many different ways. Training since 1994 with the Brasil Capoeira Group in Bern, Switzerland, I received my Capoeira Professor belt in 2009. Since 2007, I’ve been dedicated to cultivate and teach the alchemy practices and meditations of the Taoist KUNLUN System. These are very ancient practices directed at awakening the magnetic potential of each of us. Sifu Max Christensen, Ching Fung Dao Shr certified me as a Taoist KUNLUN System apprentice, in April 2012. She continues her graduate studies with the Shiatsu College of UK. In March 2014 grounds the Zen Shiatsu Caribbean Institute LLC in San Juan , Puerto Rico. In August 2015 graduates with the highest achievement from the Ayurvedic Health Counselor Program (Guru Kula System), from the Ayurvedic College for Wellbeing in Florida. 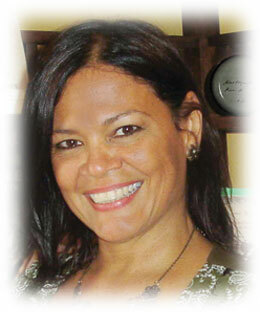 Nilsa has her Shiatsu Office at the Tort Therapeutic Elements in Rio Piedras. Massage Therapist Lisence in Puerto Rico #0088. Spanish, English, German, Swiss-German, French, Portufuese (BR), Italian. - The Experiential Path in the Healing Art of Shiatsu - by Paul Lundberg GB.